Our Christmas decorations are similar to last year’s. I don’t have a theme, simply they are all special to me and our family and all bring a little joy and beauty to our home. I have added a few new decorations this year. I started the glass decorations last year and returned to the same art gallery this year to add a few more to our collection. They are beautiful in the way they reflect the fairy lights in the evenings. I can’t resist a hand made fabric decoration so the felt characters were bought at last week’s Christmas market from a craft stall with all takings going to our local hospital. The nativity tree decoration are new too, bought from the RNLI store at the market too. The town’s Christmas market was fantastic this year for handmade craft items and a great place to shop for different gifts and decorations. I loved the peg dolly stall, there was a real variety of peg ladies illustrating different hobbies. I bought the tea lady for our tree and bought my mum a peg lady sewing, both are stunning. 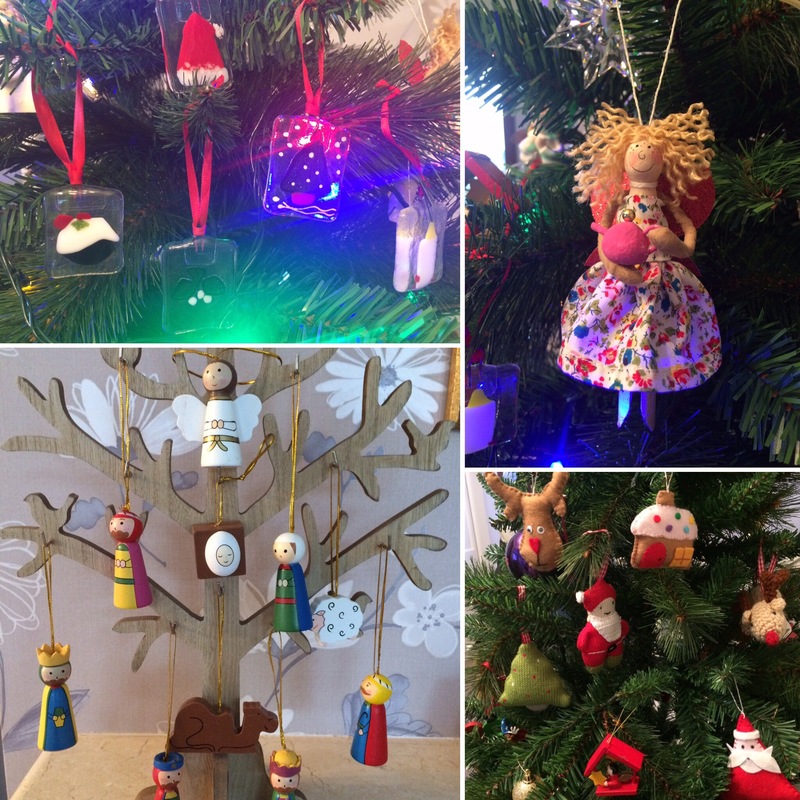 I love the look of our tree, bursting with colour and texture, hand crafted decorations by the children and I mixed with local crafted decorations too. It may not all colour coordinate, the decorations aren’t all evenly hung and it’s a complete mish mash of themes but I love our tree it’s us on every branch.